Whether you're a traditional retailer, or a new online business, the challenges are the same. You need a sales process and storage methods that meet the demands and high-expectations of your customers. The e-commerce sector grows rapidly year on year. If you operate a business in this sector, then you know how crucial it is to offer short delivery times, have a low error rate and provide excellent service levels without exception. Simple, streamlined ordering procedures, effective return routines, and a consistent and well-functioning logistics system, are all essential for success. Our solutions can easily adapt to volume and stock changes, whilst ensuring quick access to keep up with the fast market place. A fast and accurate delivery process earns the trust of the well-researched online shopper. Dexion's range of Storage Machines automates your operation. 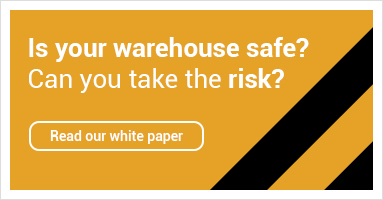 Easily connecting to your existing WMS or ERP, this is the optimum solution for goods traceability – and with the added option of restricting access for certain goods to trusted employees. The flexible design of the Hi280 Shelving range can be designed and constructed to exactly meet the challenges you face in a hand-picking operation, with the ability to adjust and expand as your business grows. From single-tier solutions, to mobile and multi-tier options, additional flexibility lets you get the most from your investment and make it work for you. To keep your stock rotated correctly, a picking station with roller tracks allows for the transportation of cartons to the assembly station – without the need for manual intervention or automation. You already know that there can often be a number of different solutions within a single warehouse, reflecting various picking and storage requirements. Pallet racking is the traditional warehouse storage method – yet the design can significantly improve stock-rotation, ease of access, and how your stock is picked.